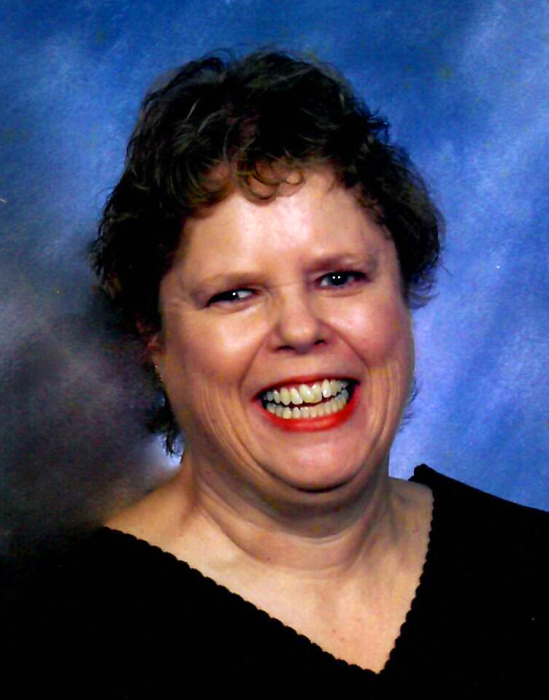 Martha Haynes Fitzgerald, of Wilmington, passed away Monday, March 18, 2019 at the age of 66. She was born on May 17, 1952, in Wilson, NC, to the late James Morgan Fitzgerald, Jr. and Martha Corinna Haynes Fitzgerald. Martha was a loving mother, sister, aunt and soon to be grandmother. She grew up in Wilson and was a 1970 graduate of Fike High School. After graduating from Louisburg College, she went to work in banking before the loss of her vision pushed her into early retirement. As a single parent, Martha has devoted her life to raising her daughter and nothing gave her more pleasure than watching Marty grow into the successful medical professional, wife and soon-to-be mother. Martha was a member of Sunset Park Baptist Church, where she attended regularly and was very active in their Celebrate Recovery program. She also enjoyed attending the Tuesday morning Bible Study Group at Wilmington Bible Chapel. A life-long animal lover, Martha leaves behind two “grand dogs” Jaxon and Roper and a “grand cat” Stuart. She is survived by her daughter, Martha “Marty” Corinna Mangum (Doug) of Wylie, Texas; her sister Jenny Fitzgerald Snyder (Paul) of Cary, NC; her brother, James M. Fitzgerald III (Paula) of Wilson, NC; and a nephew, Christopher B. Fitzgerald of Wilson. She was looking forward to meeting her first grandchild – expected to be born in September. There will be a celebration of her life at 2 pm on Saturday, April 20 at Quinn McGowen Funeral Home in Wilmington with Pastor Hugh Folds and Pastor Chris Wroten officiating. A reception will follow the service at the funeral home. In lieu of flowers, please consider a memorial contribution in her honor to Sunset Park Baptist Church. Condolences may be expressed online at www.quinnmcgowen.com. There's still time to send flowers to the Celebration of Life at the Quinn McGowen Funeral Home - Wilmington at 2:00 PM on April 20, 2019.